Magica | Zonyxa. Unique and contemporary jewellery for Work. Love. Play. 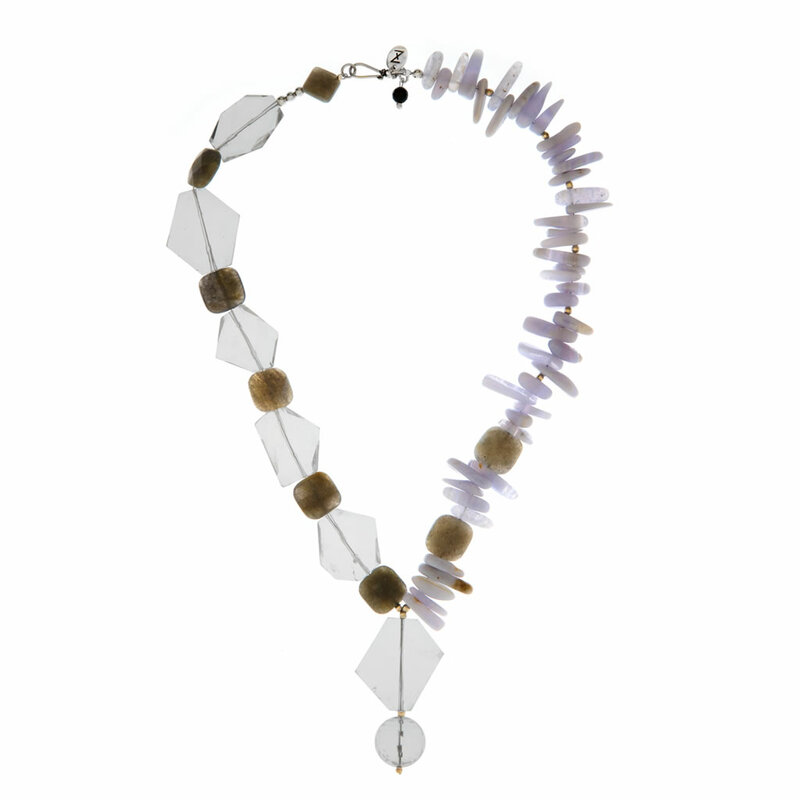 The soft brilliance of this piece results from shimmery faceted squares of labradorite combined with shards of clear crystal on one side, a strand of pale blue agate chips and delicate sterling silver “disco-balls” on the other. The centerpiece is a crystal pendant crafted from two contrasting shapes: an angular square underscored by a faceted round “full-stop.” It’s the perfect finishing touch for a scoop-neck top or dress. Materials: Labradorite, crystal, blue agate and sterling silver beads “disco balls”.